One of the best ways to observe marine life is by snorkeling. Snorkeling is a wonderful activity for everyone including children and senior citizens. To ensure you have a delightful time in the water, you need a quality snorkel. 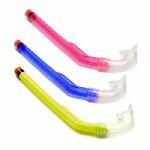 Luckily, there are many good snorkels to choose from. 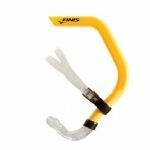 A good snorkel is curved to hug the face which creates less drag while swimming. 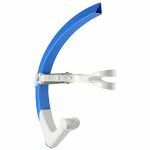 The mouthpiece should be angled properly so the top of the snorkel sticks straight out of the water without you having to fumble around with it. Some mouthpieces come with a purge valve. A purge valve makes it easier to expel water from the snorkel with a short puff of air. 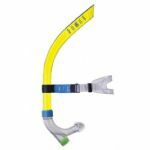 Snorkels come in three basic styles. There are the open top snorkels, semi dry snorkels and the dry snorkels. An open top has an unobstructed opening. People who are comfortable with snorkeling enjoy the simplicity of this style even though they are constantly clearing it of water. 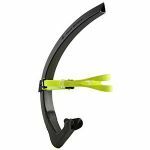 The semi dry snorkel is partially covered with a deflector cap that keeps water from waves out. These are nice if you swim in choppy conditions but some feel they are harder to breathe out of. 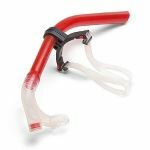 The dry snorkel has a float valve that seals the opening when the snorkel is submerged to keep the water out. 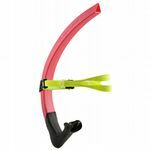 These are nice for beginners but the float valve makes the snorkel more buoyant when diving. 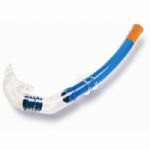 Each type of snorkel has its advantages so it is important to think about what works best for you. For many people, the snorkeling trip is the highlight of their holiday. Even poor swimmers can enjoy snorkeling by wading in shallow water with a snorkeling mask. When they want to see the fish or something interesting, they simply bend over and place their face in the water and enjoy. There is no better way to enjoy the magic of the sea.